Can video ram be overclocked? When a GPU's specification states on the box that it has '4GB' of vram, is that the max the card contains or is that in fact just the stock value the manufacturer set it at?? I just played Hitman and NBA 2K18 and the vram utilization was reading well above 4GB of ram. 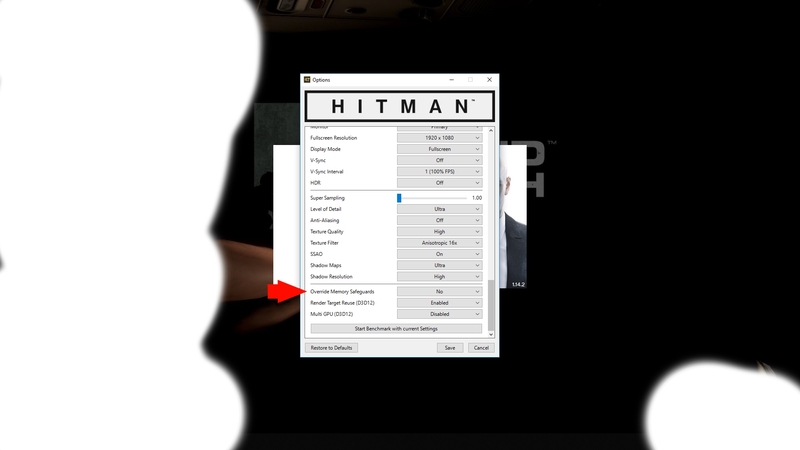 According to AMD's overlay feature, Hitman used 5 GB of vram and NBA 2K18 used 4.8GB of vram. This should be impossible if the manufacturer is claiming the card only has 4GB. Its either overclocking or there is something else going on here. Is it offloading the rest of the data to some other type of memory in the PC? If its the former case, then my RX 470 doesn't seem at all bothered by exceeding the stated amount since I haven't had any issues with either game so far. Hitman is a particularly special case because I specifically told the game not to override the memory safeguards as seen in the image below, yet its clearly doing it anyway. It doesn't really matter either way to me. I'm cool with it as long as the game runs well with no issues. I'm just wondering why this is happening. There is additional resource space on the hard drive, Windows Task Manager breaks it down between dedicated and shared, but this isn't 1994 and you can't pop in additional RAM chips into your graphics card. You're also misusing the term "overclocking", which is when components are run at higher than stock speeds. So this is why its saying the game is using 5 gb of vram? Its actually using extra memory from the system itself for the vram?? I knew overclocking wasn't the right term, I just used it for the hell of it. Well, if this tells me anything at all, its that not even 4 gb of vram is truly enough for today's video games since it still has to borrow memory from the system. One shouldn't except any less than 8 gb of vram now. VRAM is for quick on demand access of frames and assets currently in use, while assets not currently in use but will be used in the future are stored on the hard drive so they don't have to be regenerated, it's always been that way. Below are four good articles to read showing how little difference VRAM can actually make, especially at "lower" resolutions such as 1920x1080. 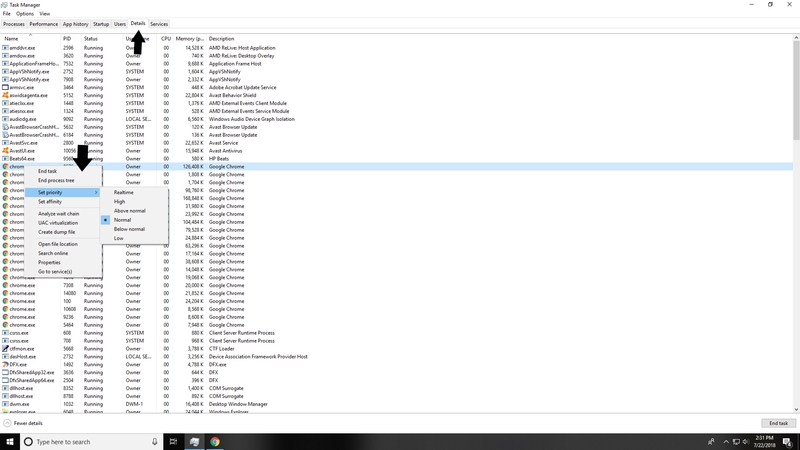 Ok, so I play all of my games with its "priority" set to "high" in the task manager. When I do this it almost always uses shared memory as vram. Now I am getting well over 4 gb in all games, the newer ones especially. Is it using the extra ram just because I have its priority set at high or is it in fact because it needs the extra ram? Would it use shared memory only if it needs it? The links you provid claims otherwise. NBA 2K18 uses about 5 gigs sometimes, while Hitman has used up to 6 gigs as vram for instance. Ok, I recently spoke to a Geek Squad agent about the extra vram my games use, and he said that the game would never use shared memory unless it actually needs it. 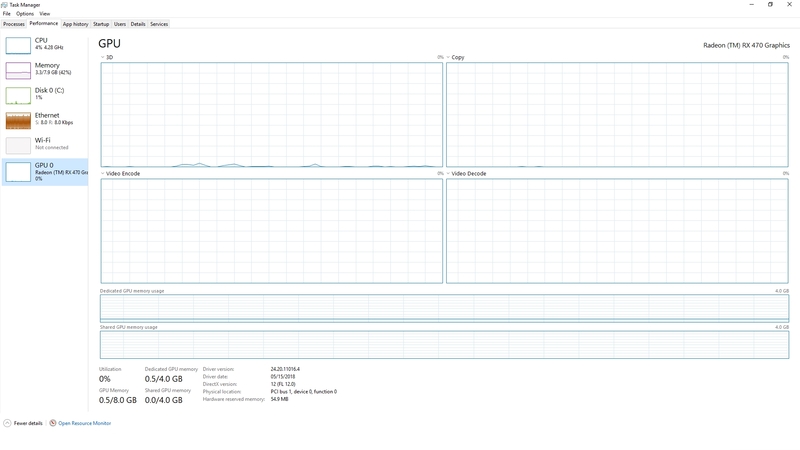 Setting its priority to 'high' or 'real time' in the task manager (shown below) only gives your PC the ok to do it. So all of those links you provided are in fact false. If setting the exe file as a high priority program is what we are supposed to be doing, we never got the memo from AMD or NVIDIA. Its proof that a 4 GB GPU is in fact NOT enough for the latest games that are graphically demanding. The reason why they are sold to us by these companies as such is because of the money and for no other reason. They know good and well that games these days are a little more power hungry than 4 GB's. This also shows why a lot of games will reccomend at least 16 gb's of system ram. Its mainly because the games might need some of it to use as vram. My games wouldn't be using up to 6 GB's as vram if it didn't need it. This is just how the PC works according to the real experts. Now he claims that a game not getting the memory it needs wouldn't crash your game or PC, it would only cause the frame rate to drop. But considering that I've seen people bring up this issue of games crashing specifically due to lack of video memory, I still have my suspicions there. I may have just figured out why my games were randomly crashing so much over the last two years, because they haven't crashed since so far. I know this is highly likely the case because of Mass Effect Andromeda in particular. For one, the damn game is an un-optimized pile of garbage which isn't helping, and it crashed literally every single time on this one part of the game without fail. I tried literally everything known to mankind except make it a 'real time' priority, at which point it started using up 5 to 6 gigs as vram. This is the only thing that worked. If you think about it, video games are technically a high priority process, so the PC should recognize it as one. I highly suggest you all do the same for every single game if you don't want to give your PC another excuse to go haywire. I'm telling you something that these companies have neglected to mention and likely never will. And as I suggested before, you should download and install a software called "Process Lasso" linked below. Its the only software I found that actually saves the 'priority' you set, that way you don't have to set it every time you open a game.